Environmentalists at a seminar held in the federal capital Friday on “Tackling Global Warming through Conservation of Forests” said that the number of trees in private agriculture farms in Pakistan is increasing because of defined ownership but forests under the government’s forestry departments are diminishing rapidly. Lack of ownership has made it easy for timber mafia and corrupt government officials to chop down trees for personal gains. He further said that community forestry entrusts local people to look after and manage forests with the aim of producing social and economic benefits for them, whilst maintaining and improving the condition of the land. Currently, forests cover only 2.5 percent of the country’s land, he said, adding that Pakistan has the highest annual deforestation rate in Asia, according to the latest findings of the World Wide Fund for Nature. Forests play a vital role for preserving the eco-system, as a source of livelihoods and as nature’s mechanism to reduce GHG emissions. Forest cover is alarmingly low in Pakistan and the existence of the timber mafia only threatens to worsen the matter, said another environmentalist, Mehmood Nasir, addressing the seminar. Nasir further said that for conservation of forests, Pakistan needs to transition through three phases; preparatory phase, pilot test phase and developing a carbon trading scheme. The purpose is to reduce emission from deforestation done by converting land for other purposes, reduce emission from degradation, slow degradation of trees, cutting firewood and carbon stock enhancement. However, he said Pakistan will need the international support through UNO REDD+ program which is about to involve indigenous people through financial incentives by developed world because Pakistan is too poor to cater to the need of its population which depends on natural resources especially on forests for food, firewood and revenues. Tariq Nazir Chaudhary said that to conserve the forests in Pakistan, the Forest Department, provincial government and local communities have a significant role. However, he said that he felt local communities must take more initiative as they are directly concerned with natural resources. 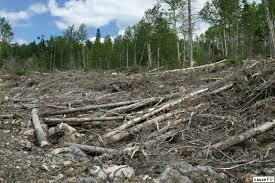 A researcher, Kashif Salik Majeed, said that to preserve the forests in Pakistan public awareness must be created because sense of ownership among public will not allow the mafias to chop the trees down.